Software As A Service (SaaS) FAQs | ATI Solutions, Inc. What are the benefits of Software as a Service (SaaS)? One of the many major benefits of secure cloud computing is the ability to deploy and access business software applications without the need to host servers onsite. Companies that subscribe to Software as a Service (SaaS) can access most of their core business functions through the internet just by opening a web browser, relying on software vendors to host, maintain, and deliver applications through the cloud. 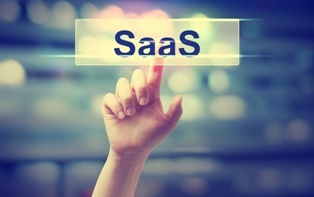 SaaS is ideal for small- to medium-sized businesses who do not want to invest in their own virtual environment. The SaaS vendor hosts the servers and hardware, maintains the databases and code for all applications, and essentially performs the majority of the company’s IT operations. Pricing. For a monthly or yearly subscription, SaaS vendors take the responsibility of installing, managing, and upgrading software, as well as remediating updates and maintaining software licensing. This allows the company to focus on their goals and objectives while greatly cutting down their stresses and costs. Customization. Businesses can pick and choose their most used and critical software, allowing the company to streamline all their day-to-day business operations. Flexibility. SaaS offers a company global access, so no matter where you are in the world you can connect and use the software that you need at that particular moment. Automatic updates. We automate patch management, and upgrade to new versions without your incurring additional software costs. Our SaaS platform offers Microsoft’s Service Provider License Agreement (SPLA), making it easier for us to maintain license count and stay current with Microsoft’s frequent upgrades for your business. ATI Solutions is proud to offer a wide range of technical services for all sizes and types of business operations, allowing your IT processes to be as stress-free as possible. Our family-owned DC-area data centers offer all the power, connectivity, protection, and security you need in a location that is close to home. Contact us today to get more information about how our data centers can serve your needs or set up an appointment to tour our Chantilly facility.